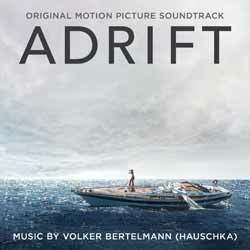 Volker Bertelmann's score for Adrift represents a collection of subtle, mellow themes. The album contains 19 tracks (49 min, 24 sec), most of which will wash over you. There's nothing here that will change your life, the tracks are mainly background themes designed to add a little atmosphere to the onscreen action. The most notable exception is 'Dinner Sunburnt' which is this album's one standout moment. It houses a beautiful and memorable theme. I can't help wishing that the rest of the score was a little more like this. So, not a bad score by any stretch of the imagination, but it's also not one that really offers up a lot to those listening to it outside of the movie.